Display Shield Front Plate for 16×2 LCDs via @instructables « Adafruit Industries – Makers, hackers, artists, designers and engineers! Thanks to instructables user FluxGarage for sharing these very detailed build instructions for building a front plate for several Adafruit LCD Shield Kits (714, 716, and my favorite the 772) – this really is a very cool upgrade idea for any project that utilizes small pushbuttons. 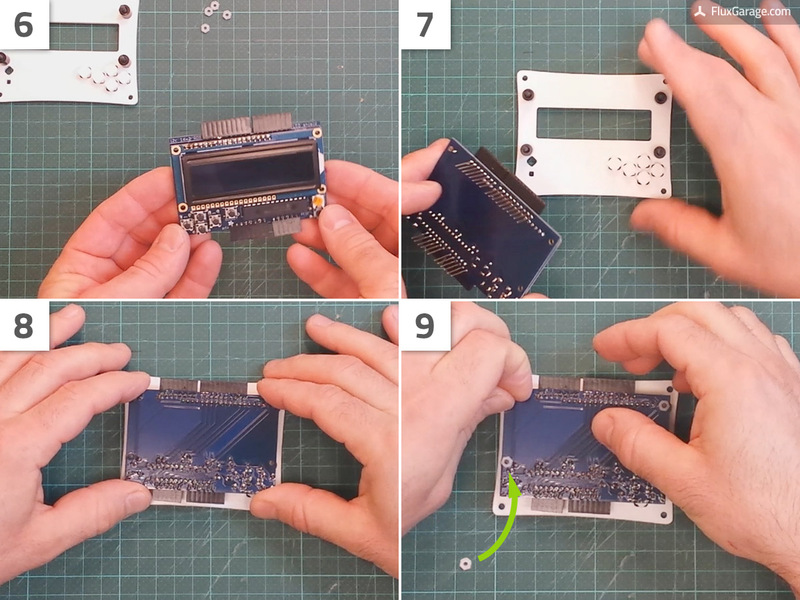 In this tutorial we’re going to build a lasercut acrylic frontplate for an Adafruit 16×2 LCD + Keypad Shield (Arduino version). Due to a simple adjustment, you’ll have comfortable access to all the keypad buttons. 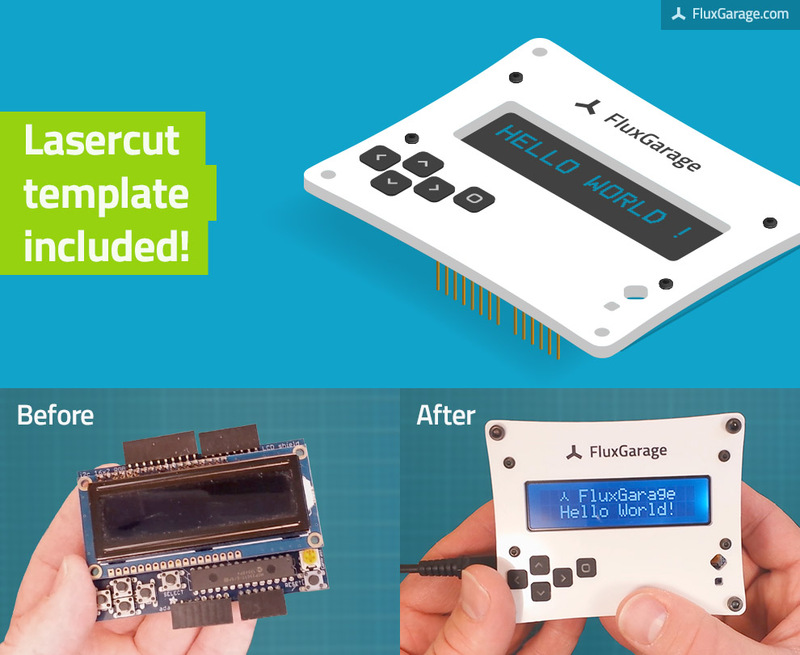 If you don’t have a lasercutter, use lasercutting services like ponoko or formulor to get the necessary parts. 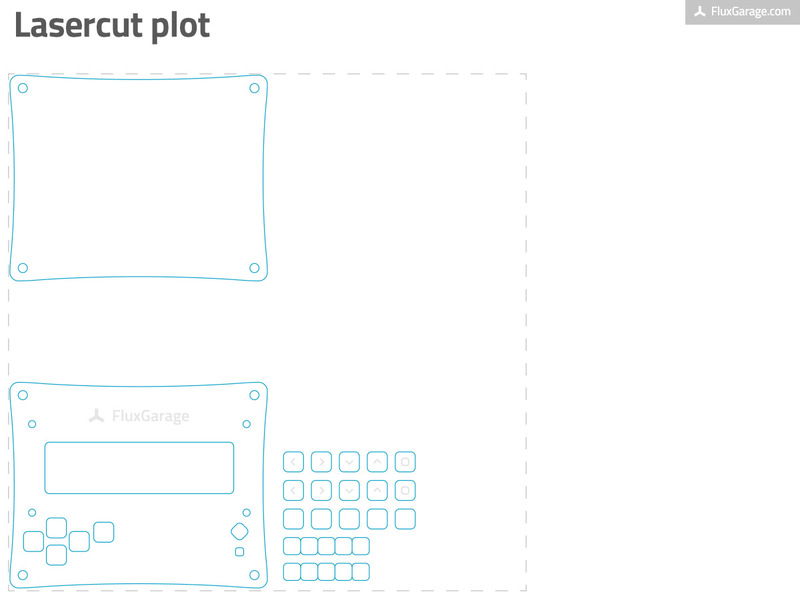 You can find the regarding lasercut template file below. Beside the lasercut-plates, you’ll also need some screws, nuts, tactile buttons and plastic glue to realize this project. LCD Shield Kit w/ 16×2 Character Display – Only 2 pins used! 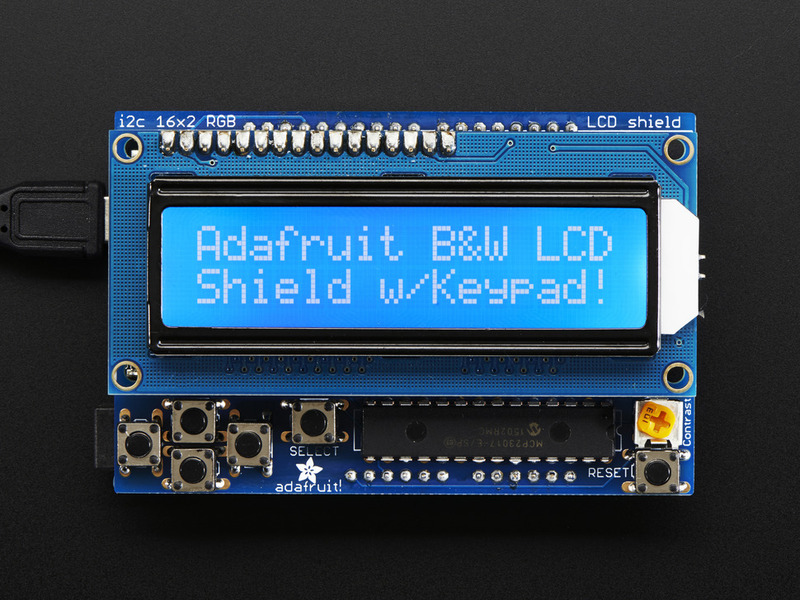 – BLUE AND WHITE: This new Adafruit shield makes it easy to use a 16×2 Character LCD. We really like the Blue & White 16×2 LCDs we stock in the shop. Unfortunately, these LCDs do require quite a few digital pins, 6 to control the LCD and then another pin to control the backlight for a total of 7 pins. That’s almost half of the pins available on a classic Arduino! Read more.